Make your heating season spending go the distance with Talley Petroleum Enterprises’ flexible budget plans and payment options. We have created several budget plan programs to help our customers manage their fuel payments with ease. Navigate your energy expenses efficiently with easy online ordering, automatic delivery, budget plans, and affordable fuel pricing. When temperatures start to drop in the Northeast, Talley Petroleum understands that cutting heating costs is top priority for Pennsylvania homeowners. See how one of our available budget options can help you save money and stress this heating season. Say goodbye to juggling varying heating costs! This plan is designed to take the guesswork out of energy bills with one predictable monthly fuel payment. 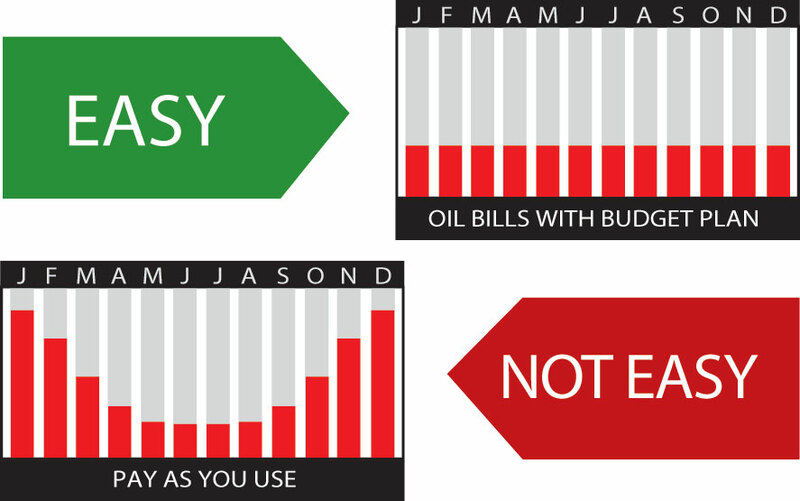 Monthly budget payment is determined by your estimated fuel usage and projected average fuel price for the year. These numbers are multiplied together, and then divided into 11 even payments. Budget plan payments are due on the 10th of every month. For added convenience, budget plan customers will receive our Budget Package, which includes 11 envelopes and a payment log. Automatic credit card payment is available, where your card on file will be charged on the 10th of every month. Note: All Budget Plan accounts must be enrolled in an automatic delivery schedule. Customers that enroll in the Cap Program are protected from dramatic increases in the market. The highest price per gallon that you will pay for the number of gallons you select is determined at signup. No matter how high market prices rise, you will never pay more than the predetermined “capped” price. If market prices dip lower than your “capped” price, you will pay the lower rate. Cap Program customers are required to pay an assurance fee of $0.20 per gallon. Note: All Cap Program accounts must be enrolled in an automatic delivery schedule. Enjoy the convenience of even monthly payments and protect yourself from market fluctuations with this comprehensive hybrid program. The “capped” highest price per gallon that you will pay and the $0.20 per gallon assurance fee is multiplied by your set number of gallons. This amount is divided into 11 equal monthly payments. You will never pay more than the agreed upon price per gallon and can take advantage of a predictable fuel payment schedule. We accept payments by credit card, ACH, check, money order, cash and LIHEAP. To submit a payment, simply log into your online customer account or contact our office. Complete our Residential Customer Credit Application and submit your information via the form below to become a Talley Petroleum delivery customer. Our customer service team will be in touch shortly.